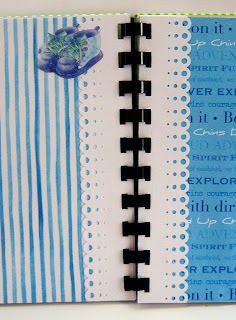 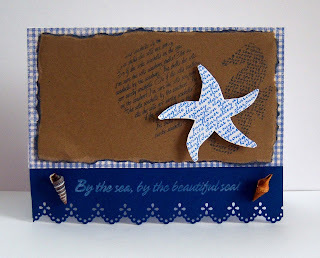 For this card I pulled out a bunch of sea themed stamps and layered them to make a collage style card. I got the idea from this card (pinned to Pinterest). 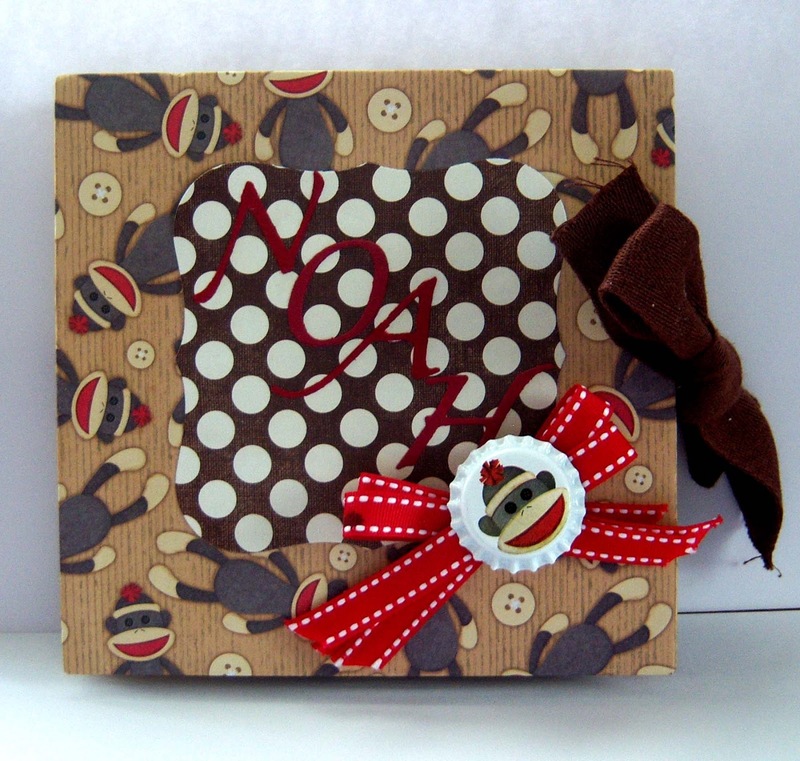 If you've never tried masking before -- he's a great little tutorial to get you started. 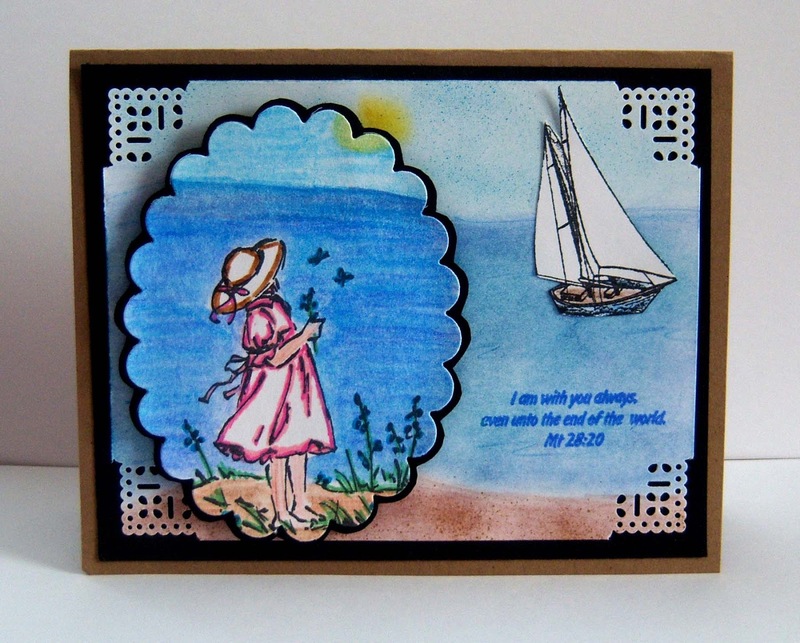 Another sea card using the My Sentiments Exactly "By The Sea Sentiments" stamp set. My sister-in-law was here all last week (enjoying her new grandson! 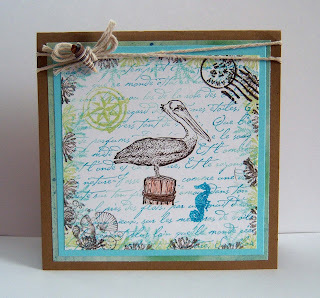 ), so we carved out a day to make cards together! 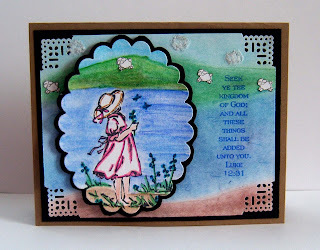 She brought the Stampin' Up set - Summer By The Sea - with her and kindly let me stamp a few to experiment with. 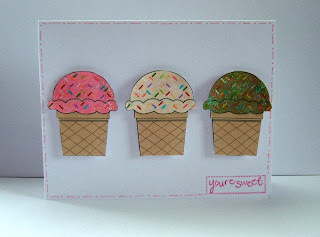 For these two cards I colored the popped up image with watercolor pencils, and then chalked a background to put it on. 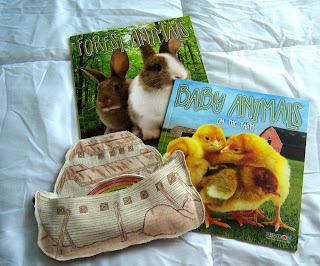 It was fun scene building with a sailboat, sheep, and some fluffy clouds! 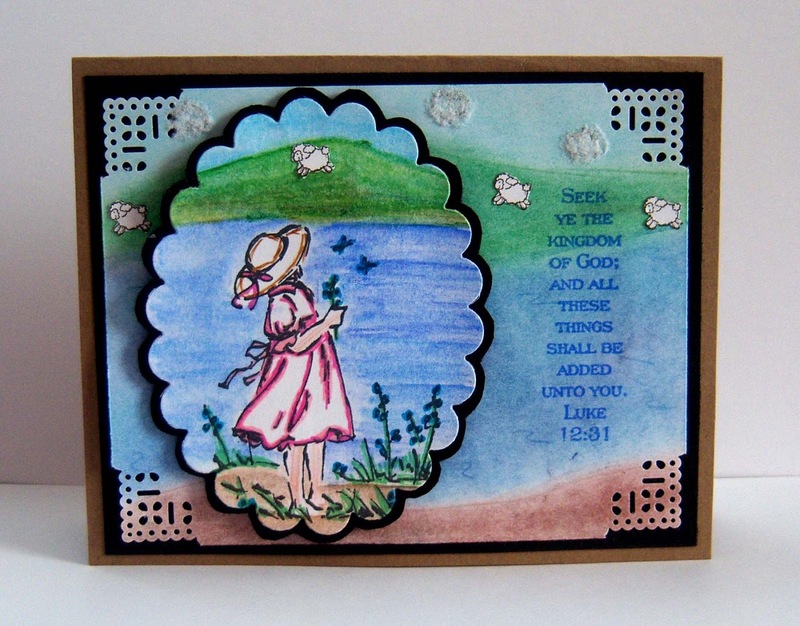 I also enjoyed mixing colors on both the watercolor and chalked parts! Stop by the rest of the week to see some more sea-themed creations! 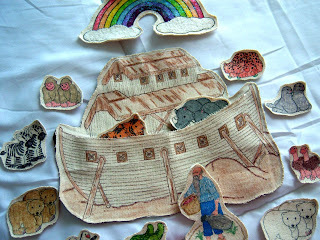 Here's a Noah's Ark Playset I dreamed up as a gift for a little boy turning two! 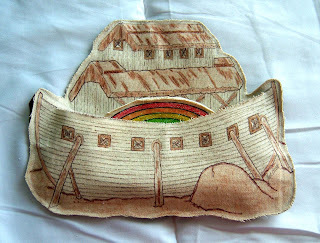 My daughter thought it would be fun to make a pocket in the ark so our little friend can put his animals inside! It also works nicely for a storage pocket for all the pieces when finished playing. a bag of animal cookies! 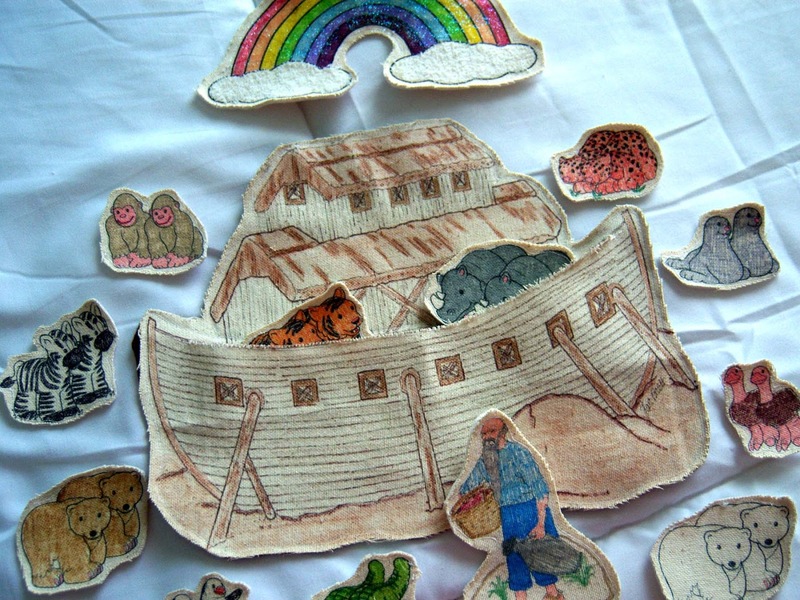 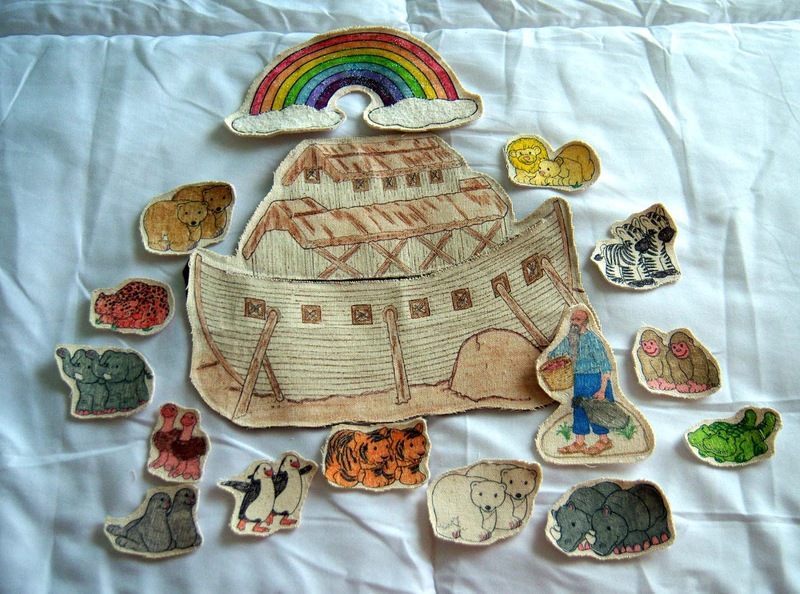 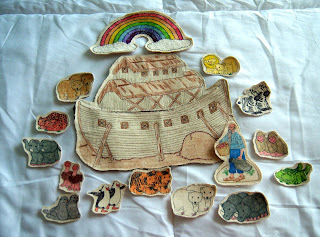 For a little different twist you could leave the ark/animals plain and gift it to an older child who could color it in themselves! 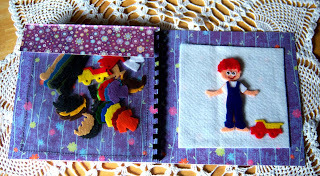 To see the changes I made the second time around click here. 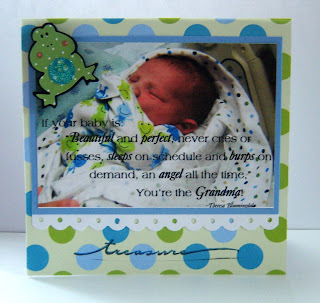 Here's the card I made my sister-in-law to celebrate her being a first time Grandma!! I layered the saying over a picture of her new grandson and added froggie accents. 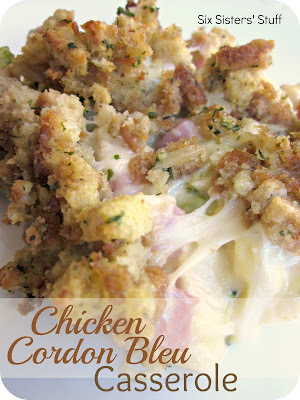 Here are some more recipes I've tried (and enjoyed) lately! 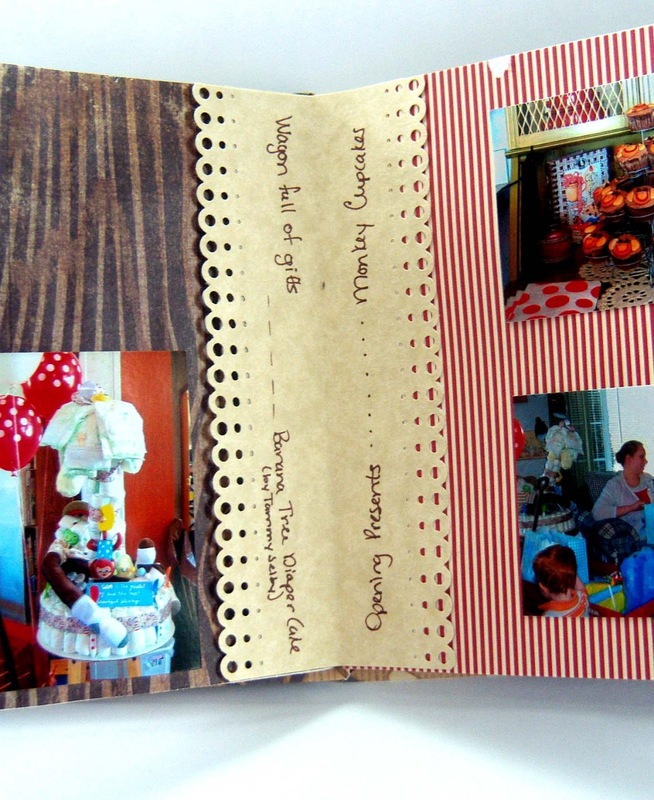 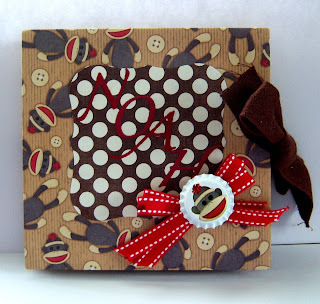 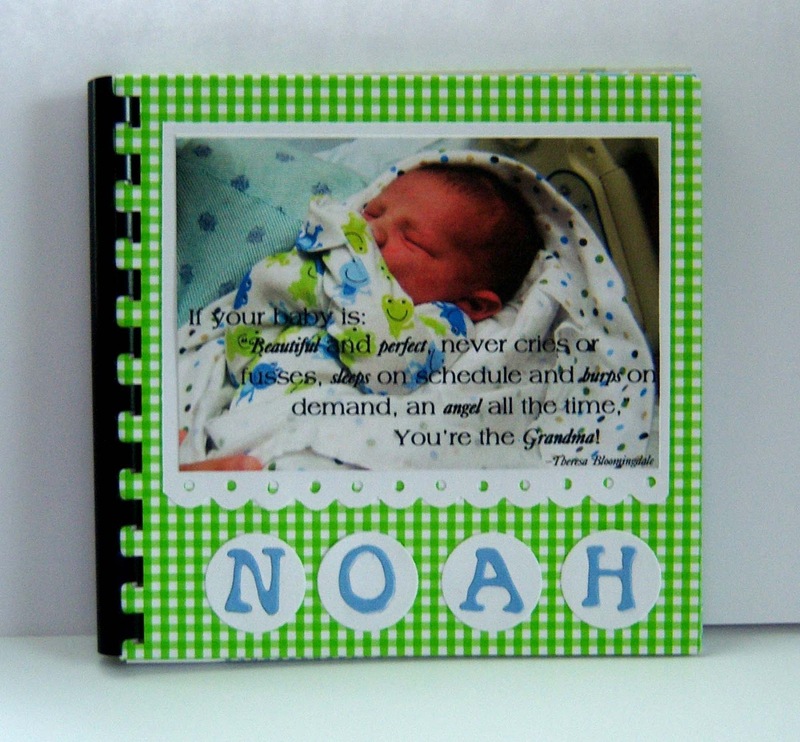 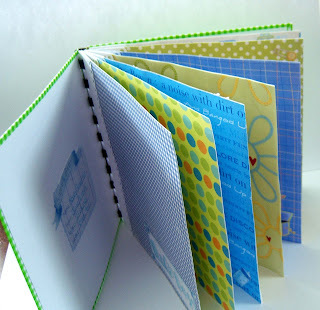 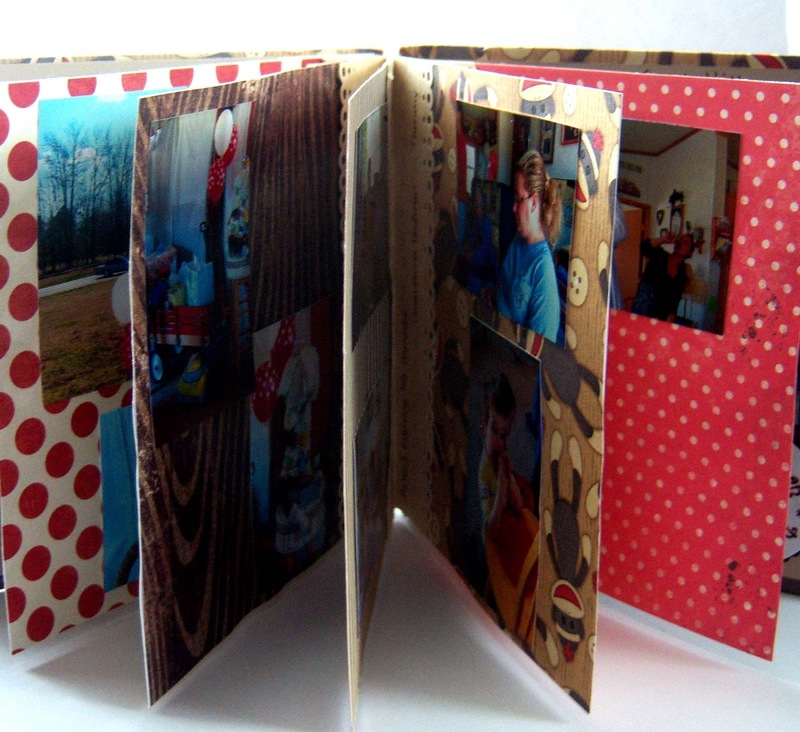 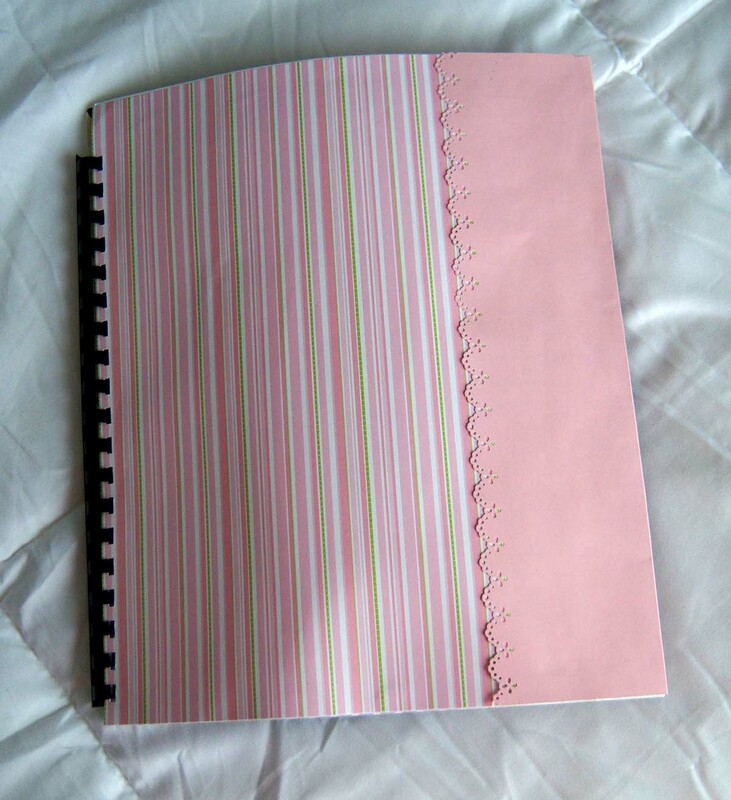 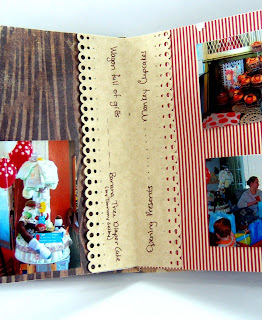 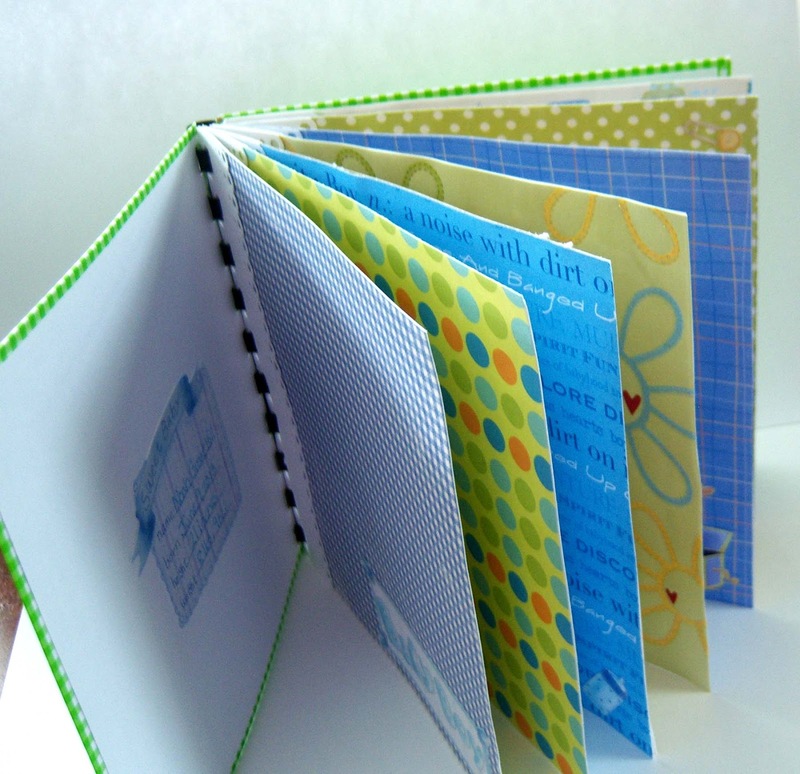 Here's a mini album I made for my niece with the pictures of her baby shower. I used this tutorial for making the album (scroll down). 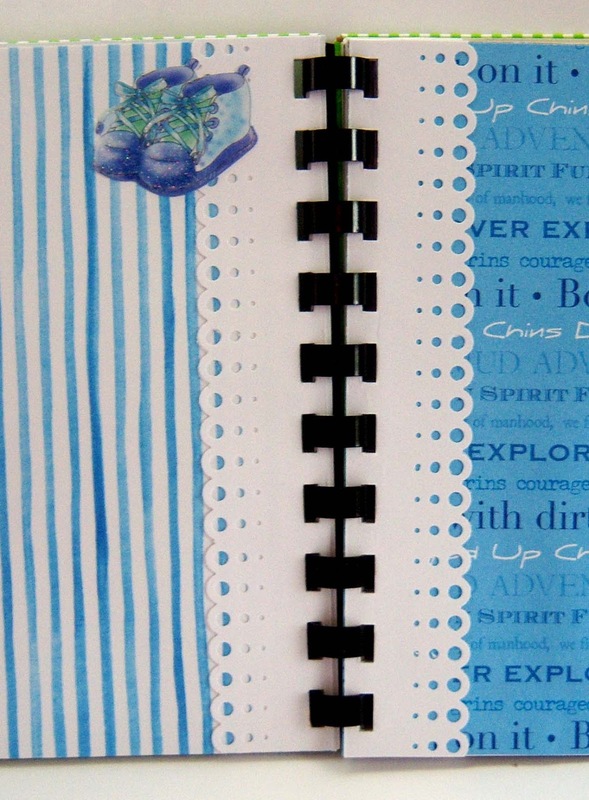 I love how the center piece serves as a place to journal! 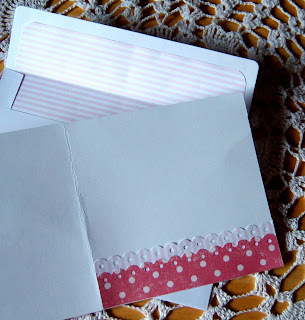 Two simple summer treat cards. 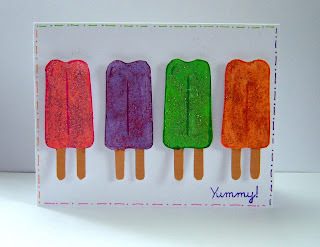 You can find free printables for these here(popsicles) and here(ice cream). 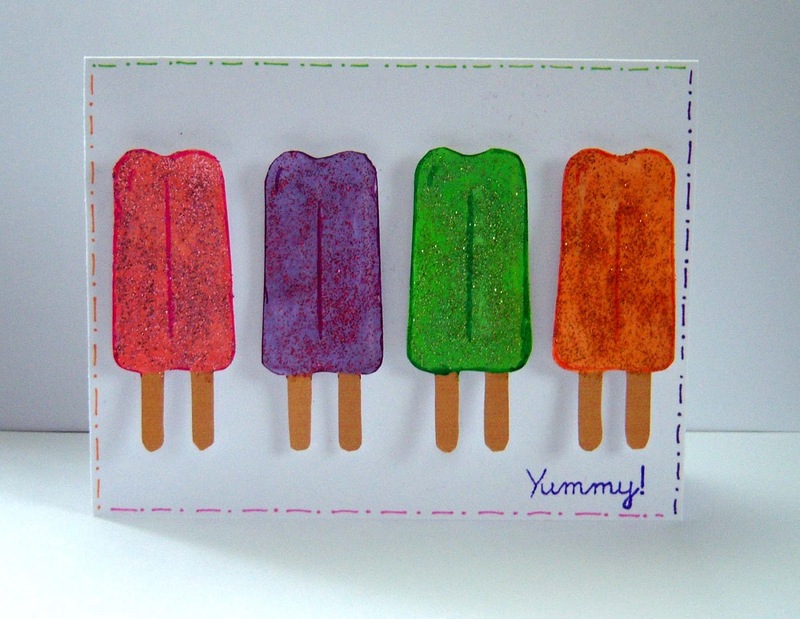 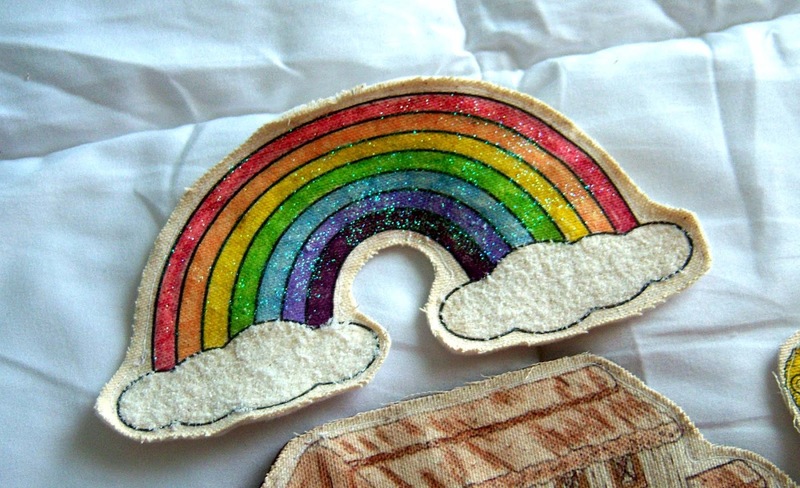 Simply print, cut out, add glitter, pop -up and wa-la - you're done! 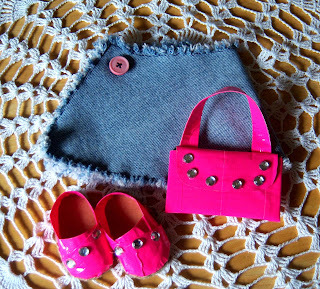 Well, here's the second set of American Girl Doll accessories for niece #2. 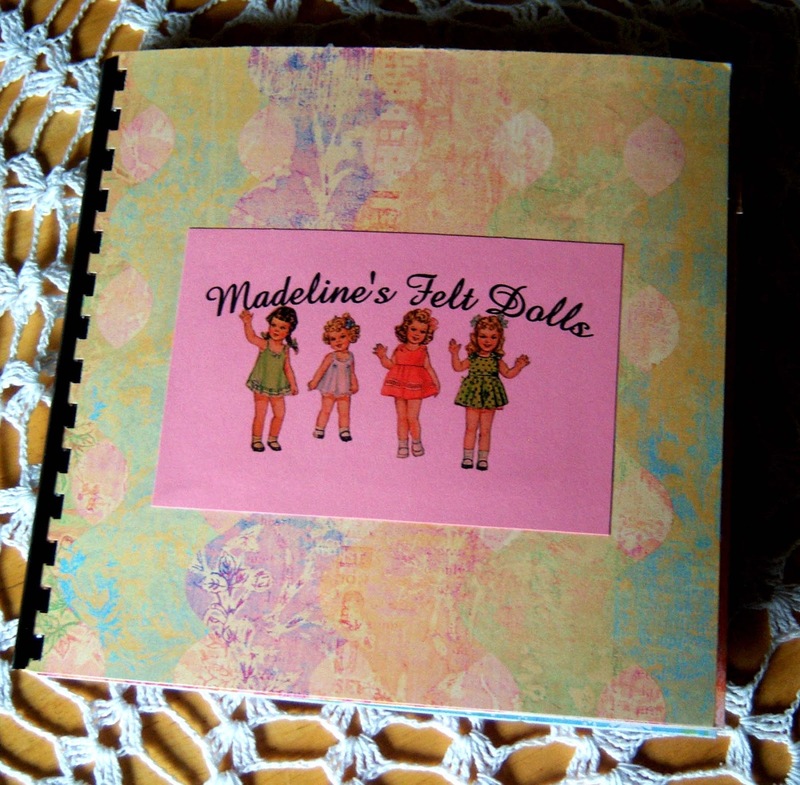 For more American Girl Doll Projects click here. 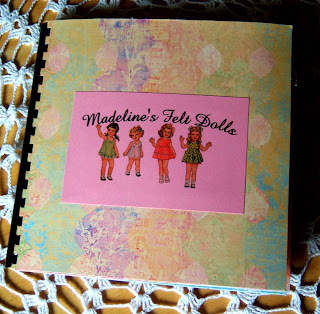 You should also check out my friend's blog -- she's doing a whole series of American Girl Projects right now. 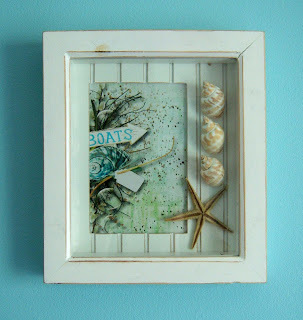 You can also check out my Pinterest Board for more DIY ideas. 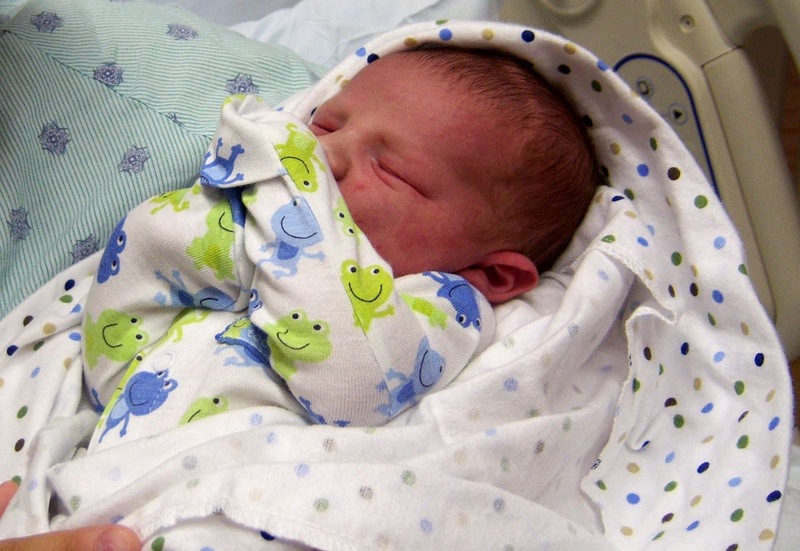 I have lots of good reasons for being MIA of late, but the best reason of all is my new great nephew (pictured above) -- isn't he a doll? 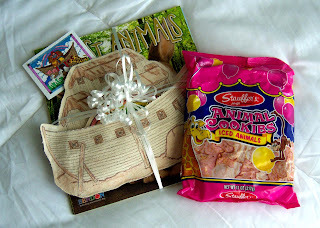 I haven't had just loads of time for crafting, but I've managed to carve some out for making b-day gifts for nieces! 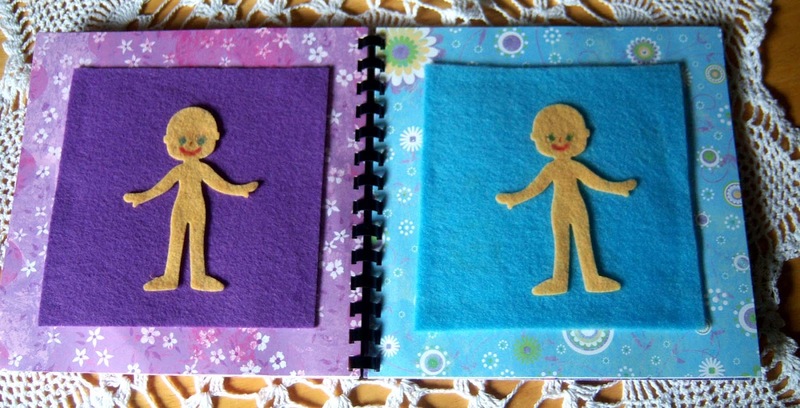 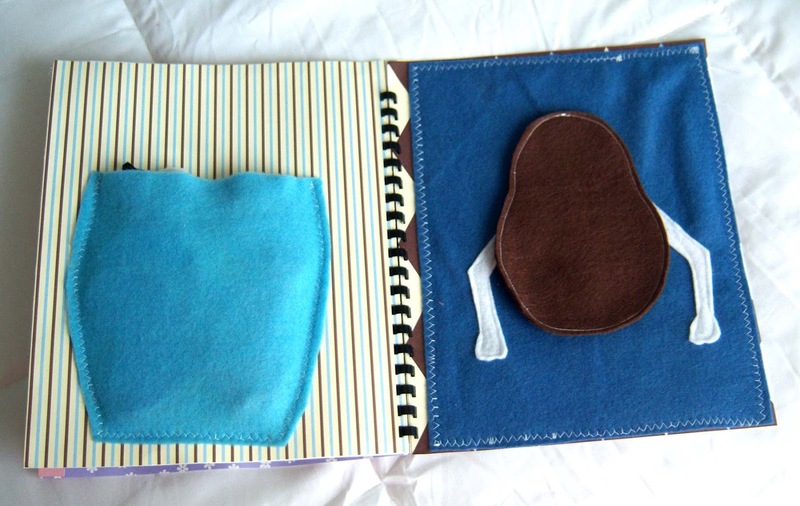 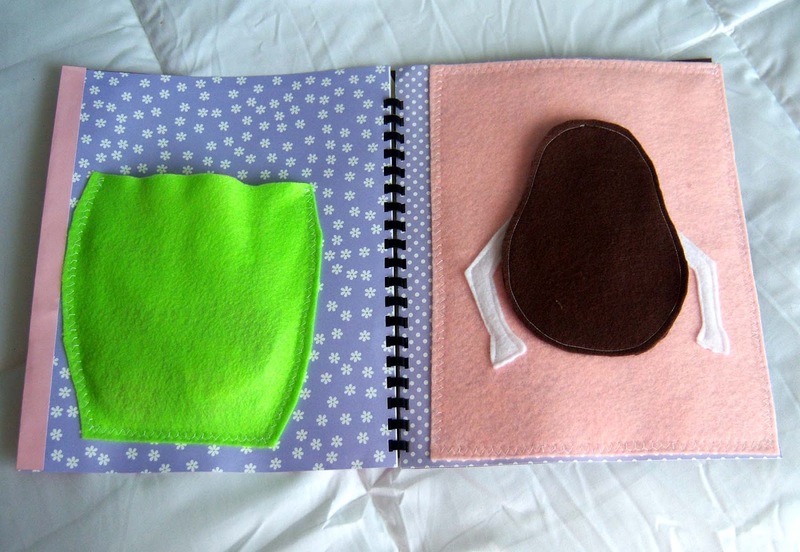 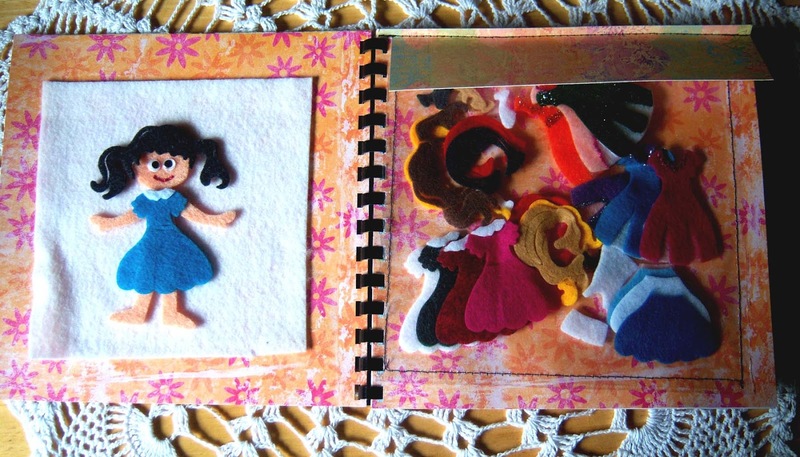 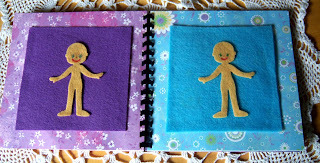 Here's the felt doll book I made a little niece turning 5 today! 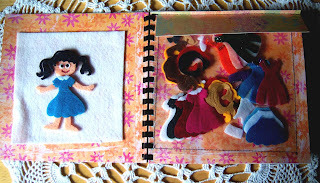 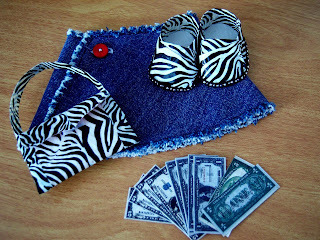 I used the Sizzix paper doll dies to cut out dolls and felt accessories for her to play with over and over again. The middle of the book has two dolls waiting for little Maddy to dress them up! 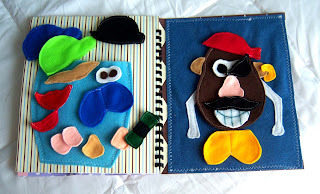 Here are all the boy things! 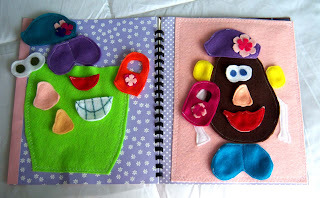 Hope she enjoys some happy hours of felt doll play this week! 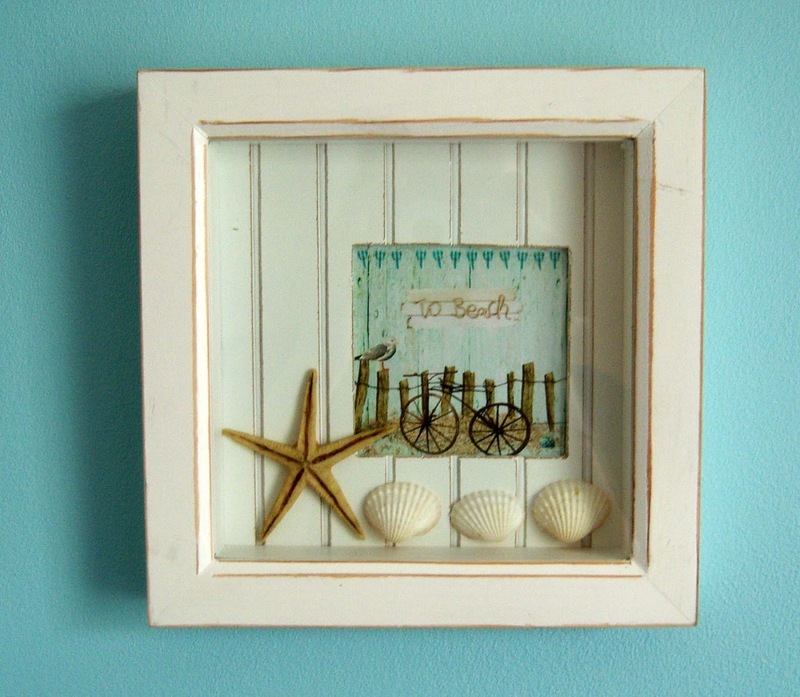 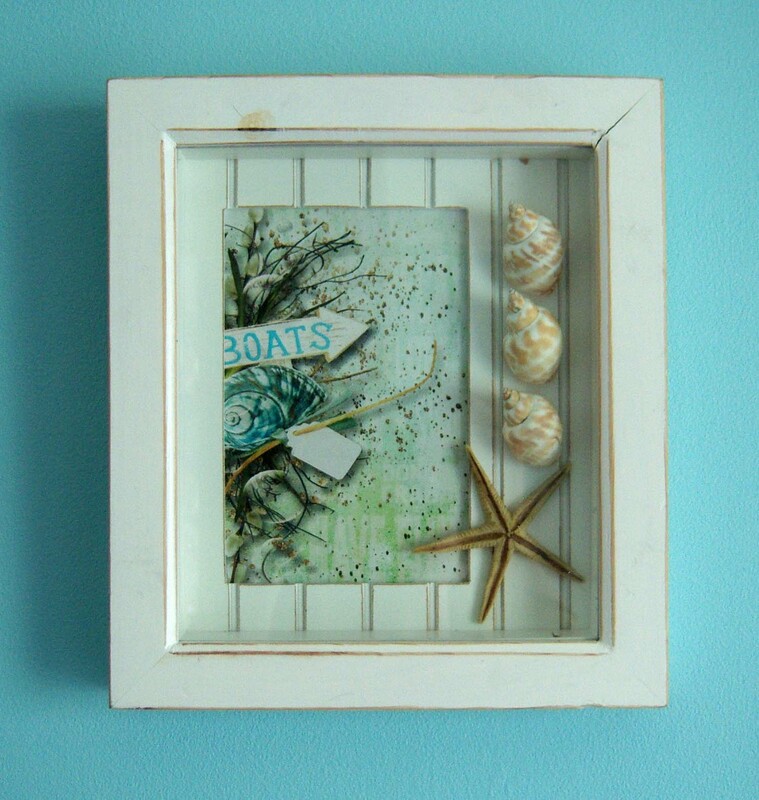 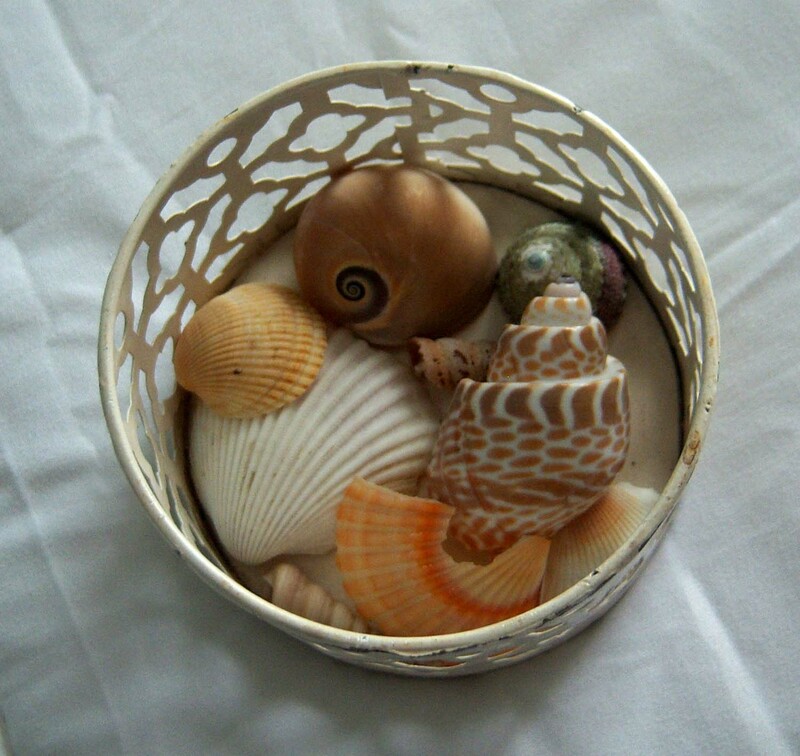 Sharing pictures of my daughter's new "Beach Cottage Room." Isn't it amazing how much a little bit of paint changes things?! 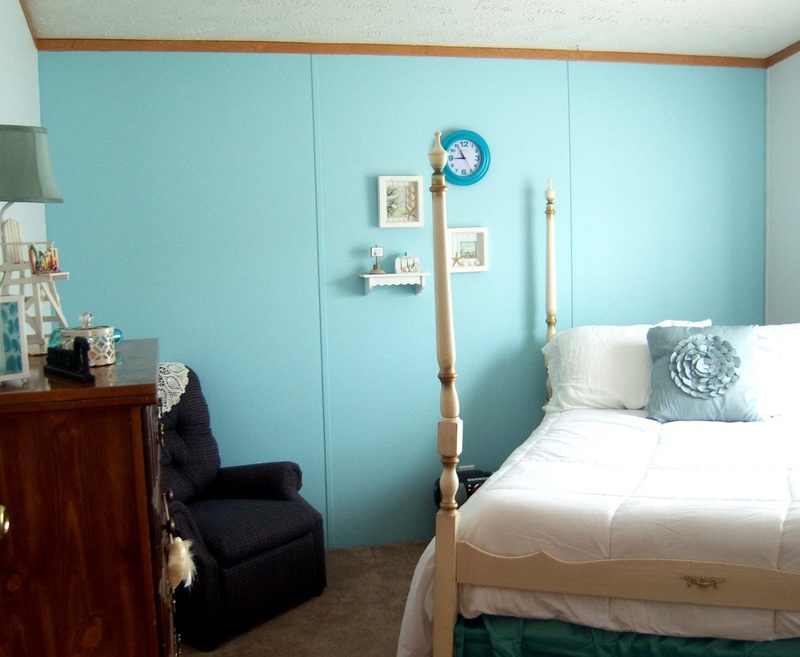 We did 3 walls white and one light blue accent wall. 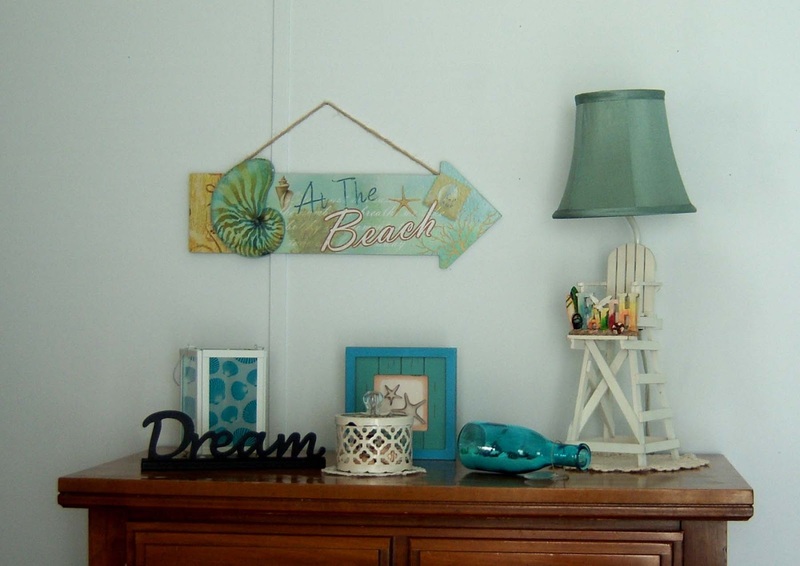 I was going for a light, airy, vacation beach house feel ---- and that's exactly what it feels like everytime I walk in there. 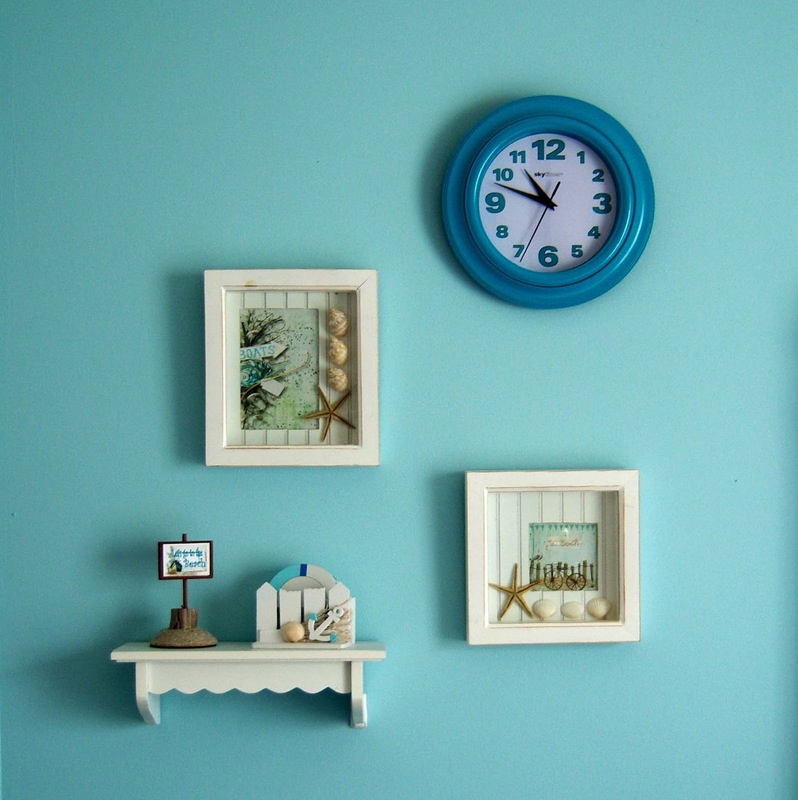 We kept the decorations to a minimum -- keeping things plain and simple. 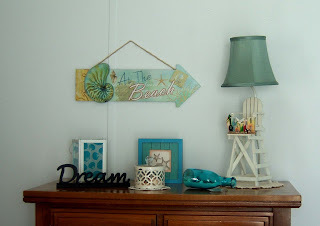 We found the lamp at a thrift store for $2 -- the sign at Goodwill, and a few things at Dollar General. The same day we found the lamp we also found these shadow box frames (at another thrift store). 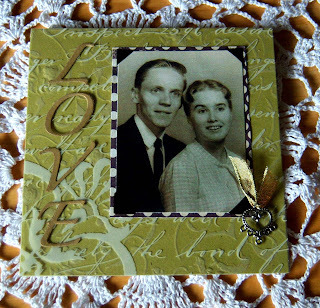 I used images from a couple Raspberry Roads digital kits (that were on sale at the time) to make the pictures in the frames. 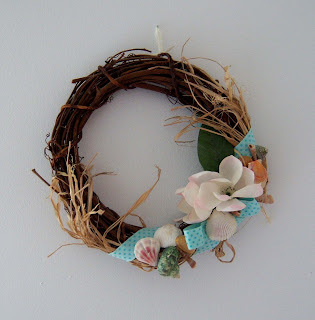 I also made a sea themed wreath for one wall. 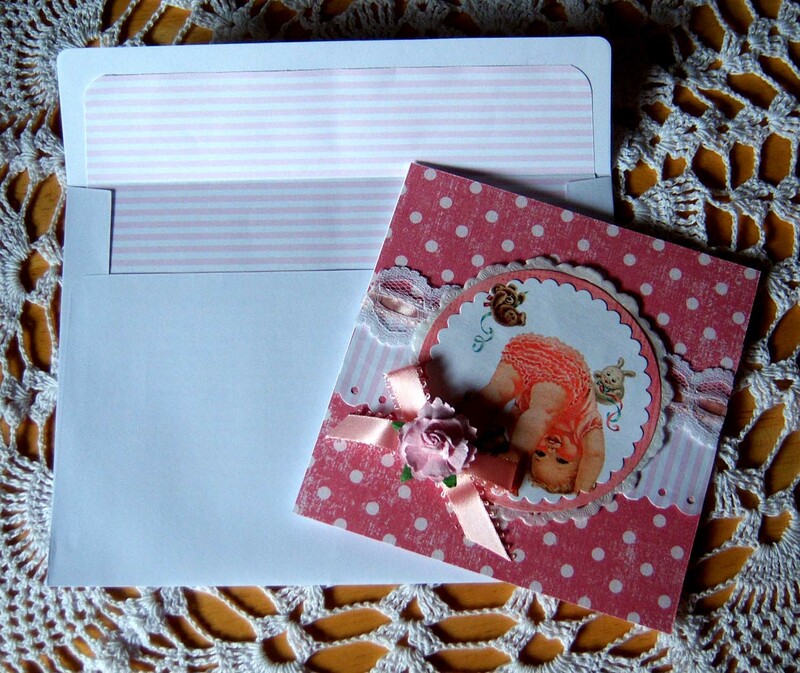 A friend of mine ask me to make her a card for her great nieces baby shower. 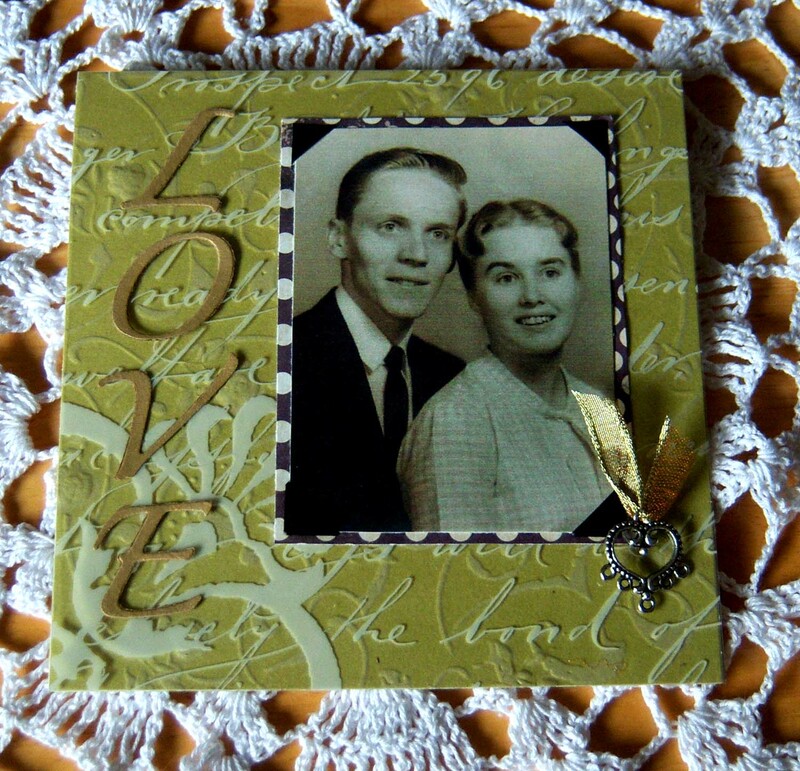 My parents will be celebrating 50 years of marriage this Sunday! 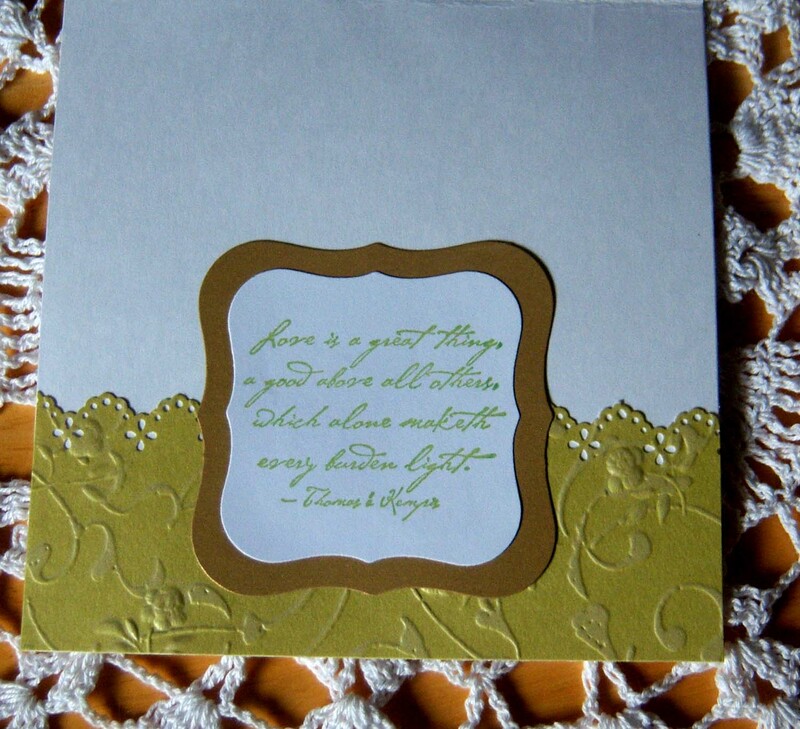 Here's the card I made for them using a picture from their 1st anniversary.